Our website is all about bringing out the best out of your property and enhancing it with the best available on the market. Roof plays a crucial role in how well your entire house will function. It guards and protects your family members; it takes care of your possessions, it contains all your memories. Therefore, choosing the perfect roofing option is a must. My practically perfect home decided to work in close collaboration with one of the best roofing contractors out there. 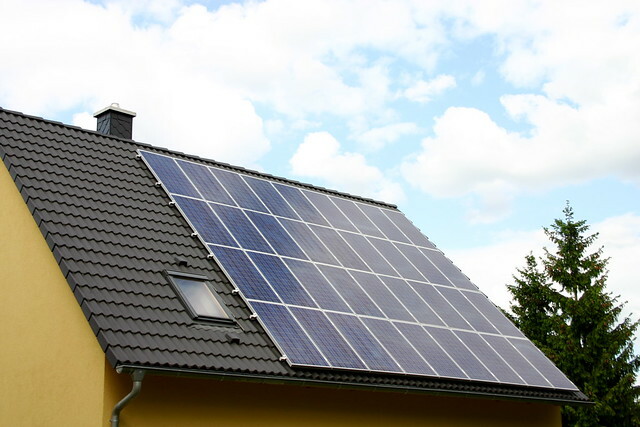 We have already talked us about eco-friendly and sustainable options, like solar roofing. We spent an hour discussing and talking about what roofing materials are the best. Our team tried to explain to local roofers in Texas what our readers require and want to read more about. We asked them to give us the perfect topic for people who love elegance, beauty and sustainability. One of their workers yelled out: Slate! Write about slate! We were pretty much confused in the beginning but then they explained to us what slate roofing is and how it can be beneficial for people. We, ourselves, were amazed at this roofing material, especially after we’ve seen the work of local roofers in Texas This article will bring your top reasons why you should use slate roofing for your new home. If you had to describe slate with one word it would be a beauty. To be more precise, natural beauty. This completely eco-friendly material is a natural stone that is maybe the most durable roofing option available. Slate can enhance the look of any property, no matter if it is gothic or modern. It has a unique look and offers excellent longevity. Slate can be purchased in a variety of colors and patterns. Most often, tiles can be found in the dark blue, purple, gray, red, green, etc. Moreover, slate tiles are to this day handmade, No matter its age, the slate will remain classic and beautiful. Longevity is always an important factor to consider when choosing a roofing material. Few materials can compete with slate in this field. It is a champion of lasting- it can easily last for over 100 years. The best thing about slate is that it is high-end and contractor include a 100 warranty for your roof. So, once you install a slate roof, you don’t have to worry ever again about your roofing system. Since it is a natural stone, the slate is more durable than any artificially, man-made material. There are several reasons why that is the case. First of all, this natural stone has a high density which makes it waterproof. It doesn’t absorb water, on the contrary, it easily sheds it off. Secondly, it is non-combustible meaning it doesn’t catch fire. It will protect your home in the case of fire. High durability means low maintenance. You won’t need to have a contractor constantly repairing your roof. Installing a slate roof on the house doesn’t just mean investing in your safety but also investing for your future profit. If you ever decide to sell your home, feel free to list it for double because of your roofing system. Prospective buyers appreciate the durability and quality of slate roofing. Slate is an entirely eco-friendly roofing system. Well, it makes sense since it is a natural stone. Roofing waste accounts for 5 percent of all waste in the United States. If you decide to implement this roofing option, you will contribute to solving and reducing this problem.